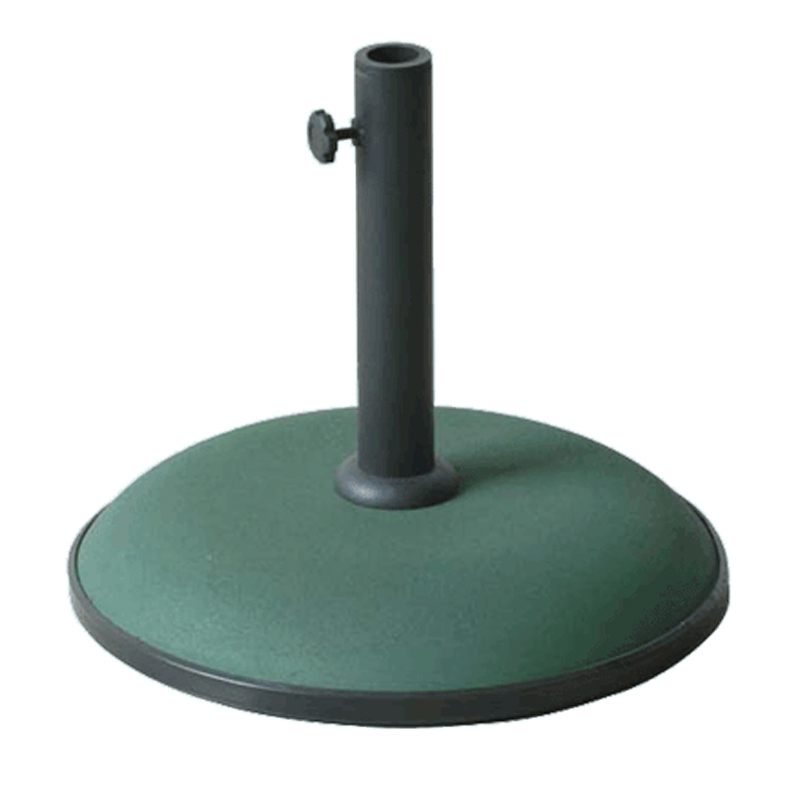 This sturdy, round concrete parasol base weighs approx 15kg. With a 42cm (16.5″) diameter it has a rubber ring around the base. Scroll down for more info. This makes it easy to roll into position if you find it hard to lift. It also has rubber feet on the underside to grip the floor. Stylish, well built, reliable and weatherproof. 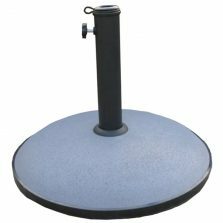 this 15kg round concrete parasol base is designed to stand under your garden table and firmly support your outdoor parasol. Available in 4 shades: black, grey, red and green – just select the colour you prefer. These really do make a good umbrella base, perfect for your garden parasols! Coated steel support tube screws to centre of concrete base. A set of various plastic inserts are supplied so the tube can accommodate a variety of different size umbrella shafts. 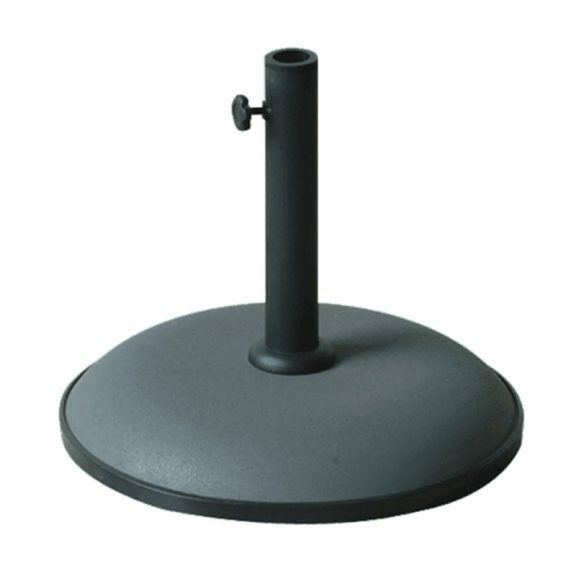 Suitable for parasols and umbrella poles with a maximum diameter of 4.4cm (1¾ “) and a minimum diameter of 2.5cm (1”). 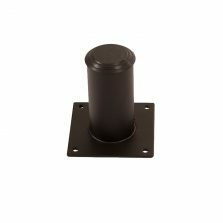 Supplied with an adjustable screw which inserts in a hole at the top of the tube. Clamps onto and supports the parasol shaft. For your war on the wind! If you want to be sure that your garden umbrella or parasol is fitted securely in a reliable base then this is the one for you. Once it’s under your garden table you can be sure that it will stay there. 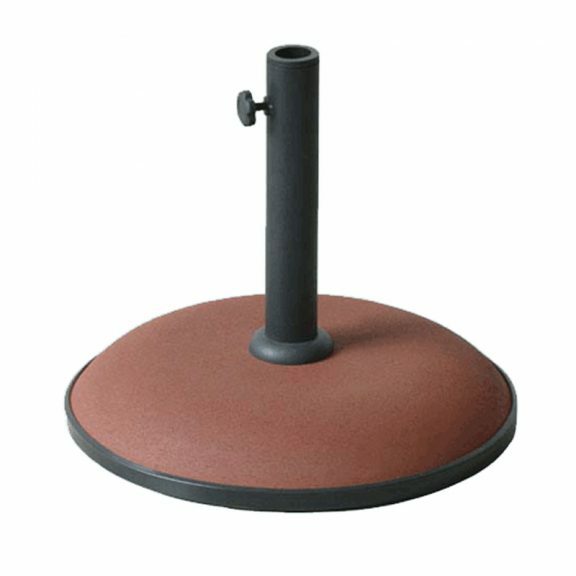 This is a good looking and sturdy concrete parasol base that will last for years to come. Dispatched in moulded polystyrene packaging within a single protective outer carton. Simple assembly, instructions included. We do have several other parasol bases that you can take a look at if this is not quite the right one for you. We have ones with concrete bases, some that you screw down and the very traditional plastic ones that you can fill with water or sand. To take a look please click on the link below. Check out the rest of our garden parasols!